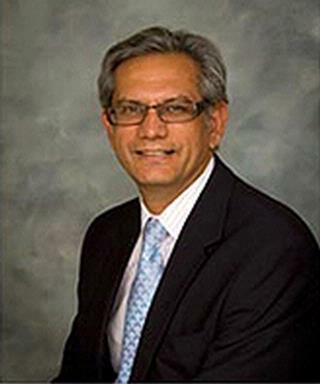 Dr. Anil K. Sharma graduated from Charing Cross Medical School in London, England. He completed his Internal Medicine Residency at Highland Hospital, a major teaching affiliate of the University of Rochester School of Medicine, where he also served as Chief Resident. Dr. Sharma was selected by his peers to receive the Jacob Holler, MD Annual Resident Award. He completed his GI Fellowship at the University of Rochester School of Medicine, and is a Board Certified Gastroenterologist. Dr. Sharma is an Associate Professor of Clinical medicine in the Department of Medicine at the University of Rochester Medical Center, and has received numerous teaching awards. He currently serves as Chief of Gastroenterology at Highland Hospital, and is a Trustee of the Highland Hospital Board of Directors. Dr. Sharma's gastroenterology interests include colorectal cancer screening, gastro-esophageal reflux disease, inflammatory bowel disease and diseases of the liver. Dr. Sharma is a Fellow of the American College of Physicians, is a member of the American College of Gastroenterology, the Crohn's & Colitis Foundation of America, and the American Society of Gastrointestinal Endoscopy. Dr. Sharma enjoys tennis, golf, and traveling with his wife and three children.